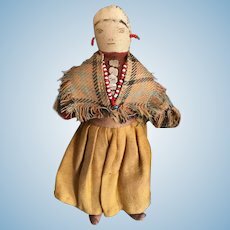 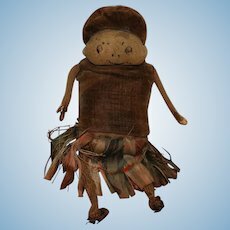 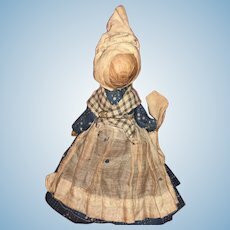 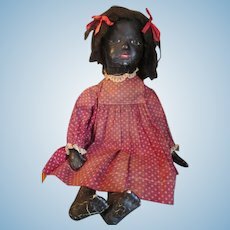 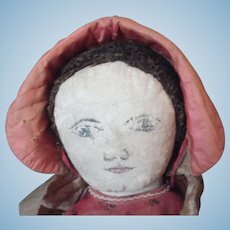 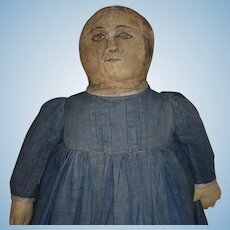 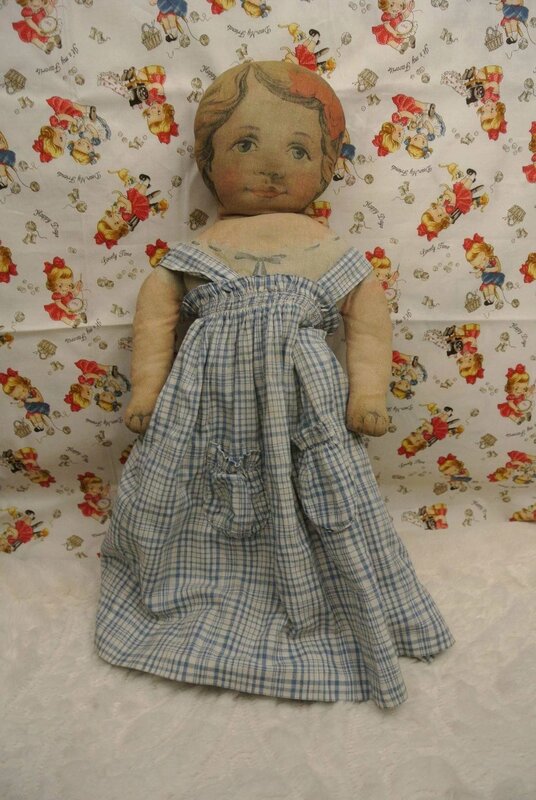 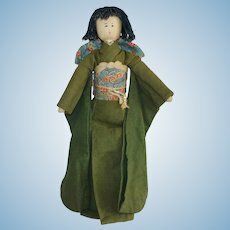 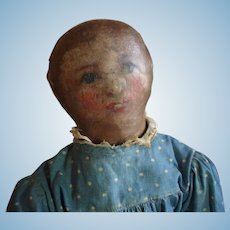 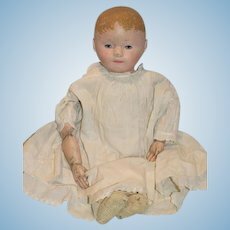 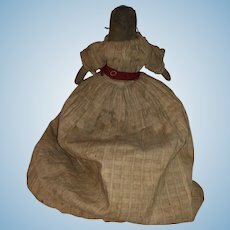 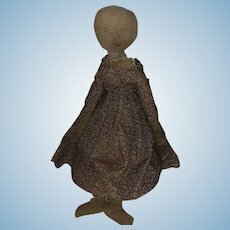 Primitive 19th Century Antique Cloth Rag Doll with a Watercolor Face and red calico dress. 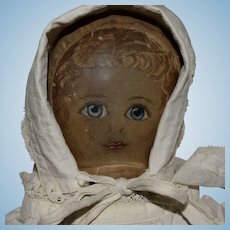 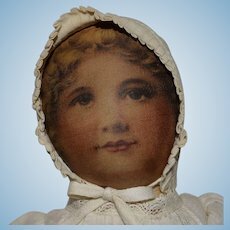 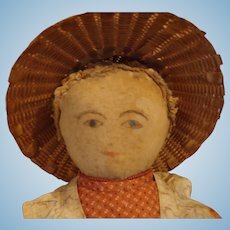 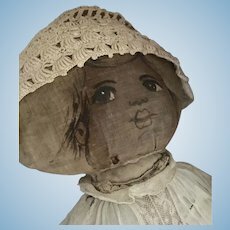 Antique Palmer Cox Brownie “German” Lithographed Cloth Doll, Arnold Print Co.
Vintage Amish Rag Baby Doll, 22" Big, Embroidered Face, Indiana. 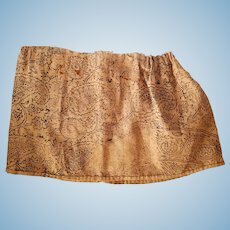 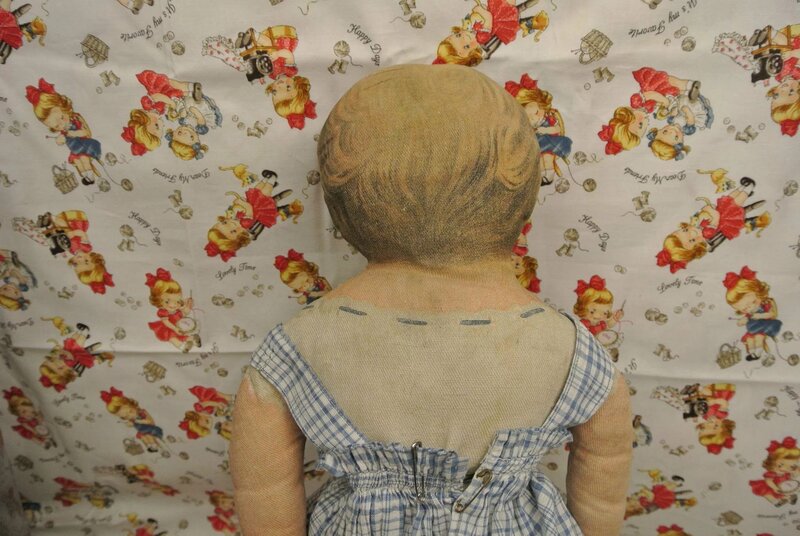 8" tall x 29" Antique 1890s-1900s cloth doll Skirt, hand-sewn, looks like hand-printed fabric. 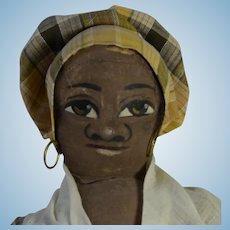 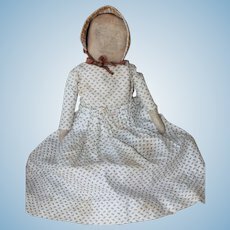 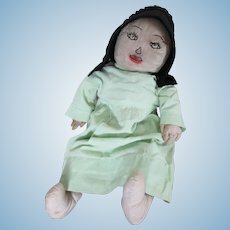 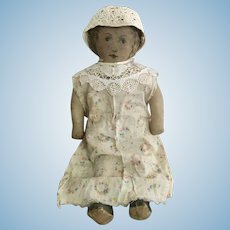 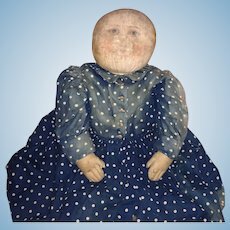 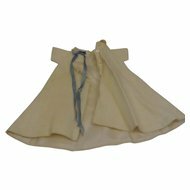 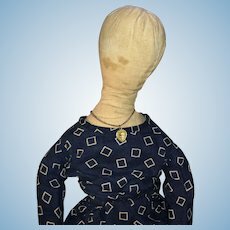 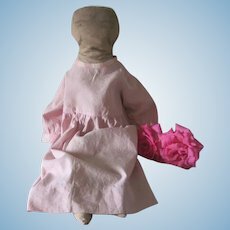 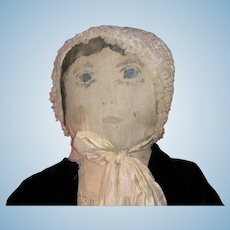 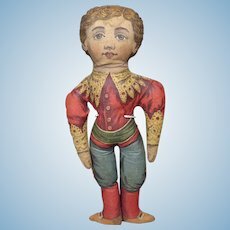 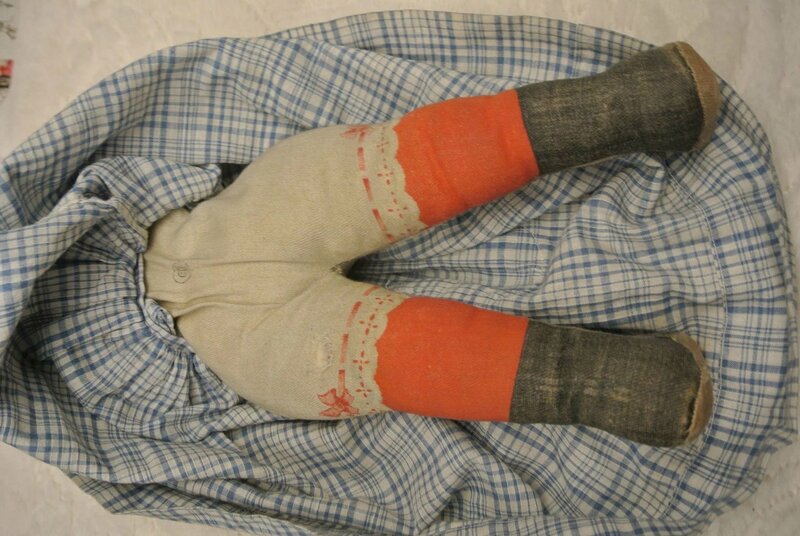 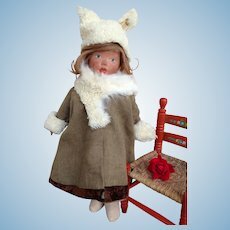 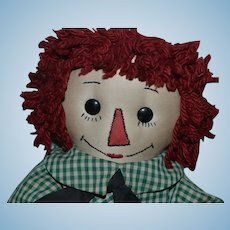 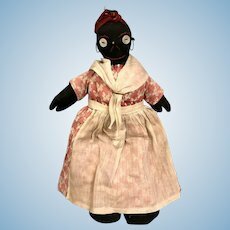 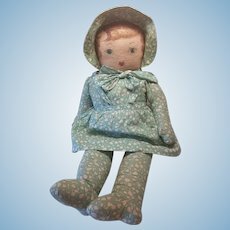 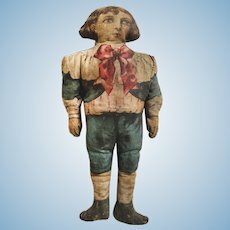 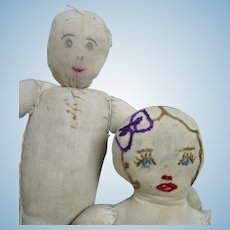 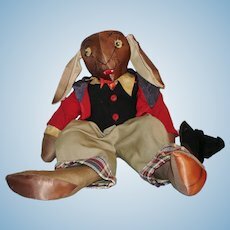 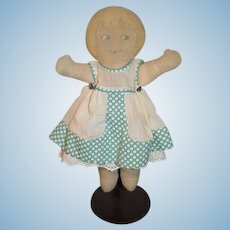 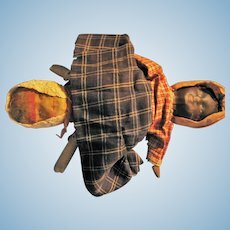 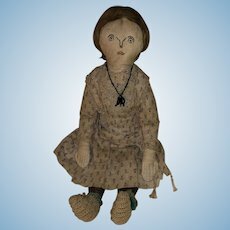 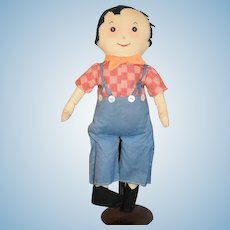 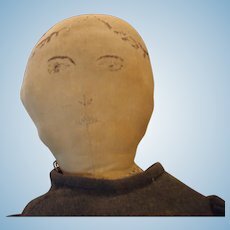 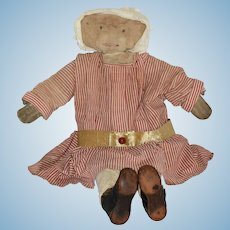 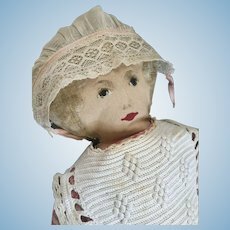 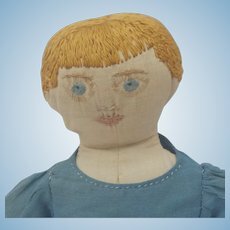 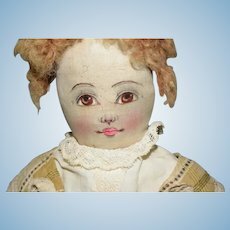 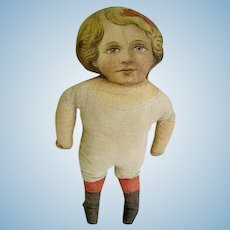 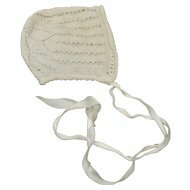 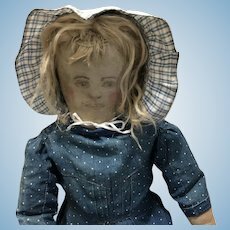 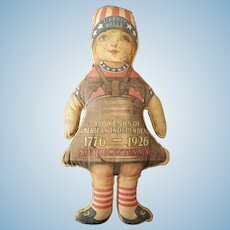 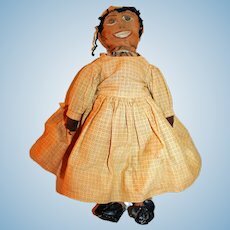 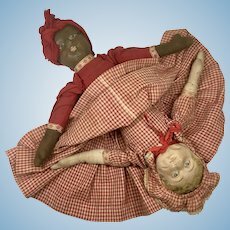 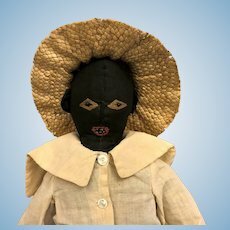 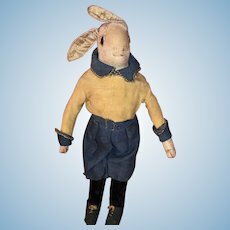 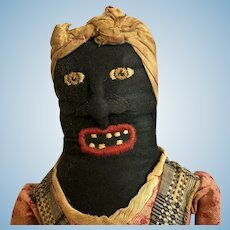 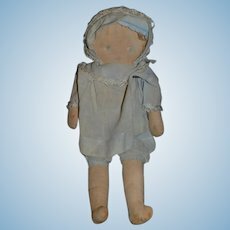 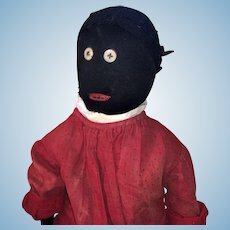 This 17" American printed cloth rag doll is from the turn of the last century. 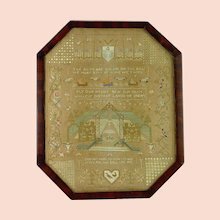 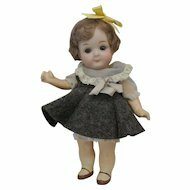 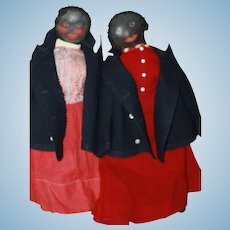 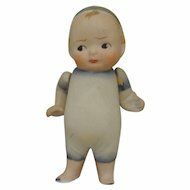 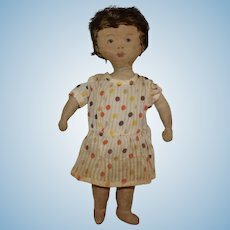 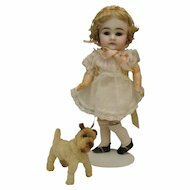 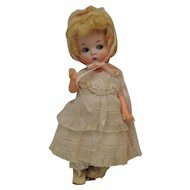 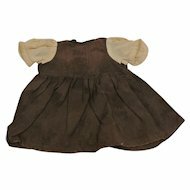 In the the 1900's the Art Fabric Mills company sold uncut sheets of lithographed dolls to be cut, sewn and stuffed in the home. 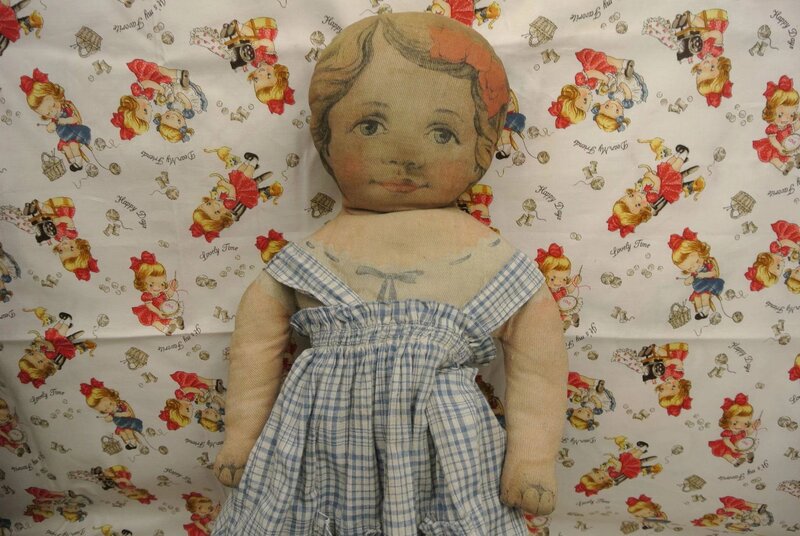 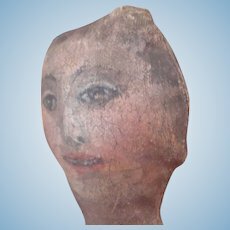 She has a printed child's face with a red bow in her hair, red lips and tinted cheeks. 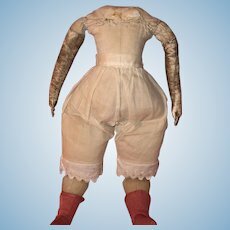 This information is based on research I did and if I am wrong please let me know, She is dressed in a printed one piece pantaloon with red ribbon trim around the legs and a blue ribbon on the bodice. 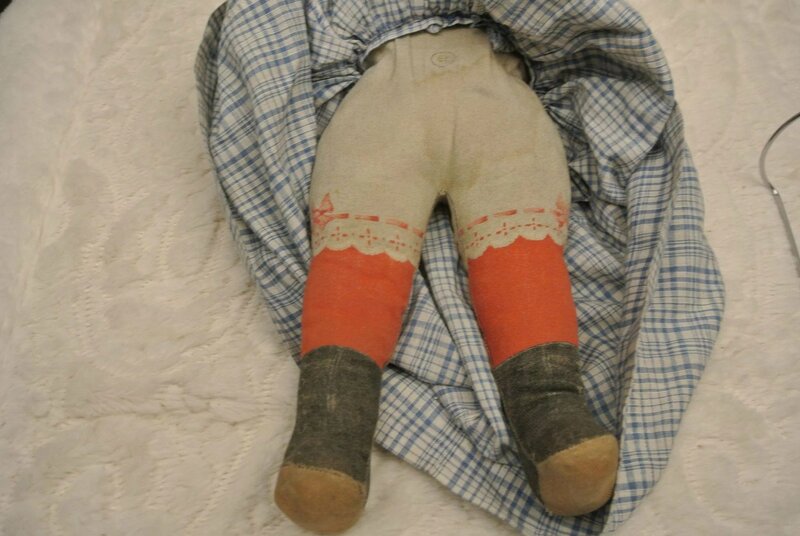 Her boots are high black boots with side buttons and she has bright red legs. 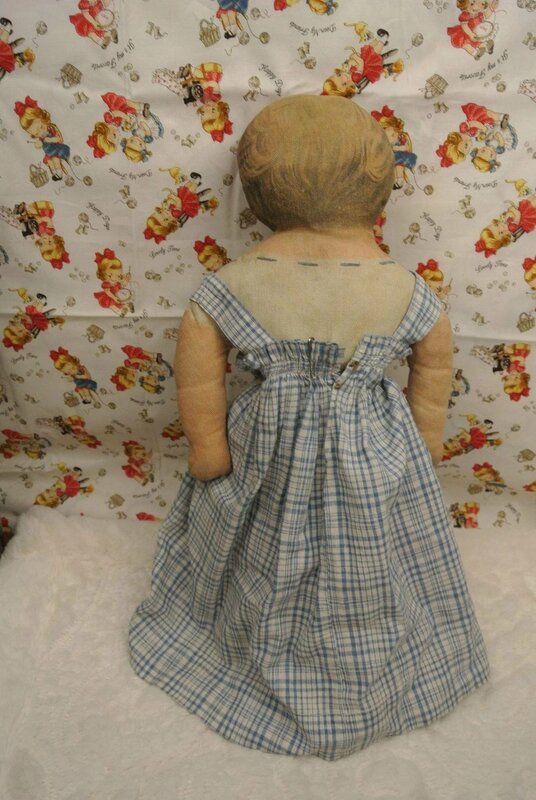 Her previous owner dressed her in this pretty jumper. 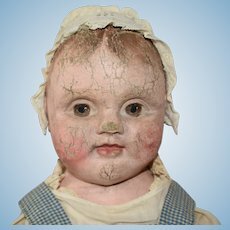 She is in great condition for her age. 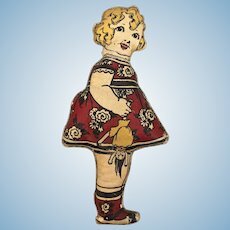 The only small, minor hole is on the back of the left leg near the printed red ribbon of her thigh. 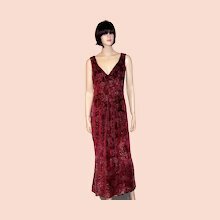 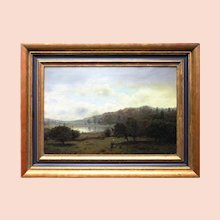 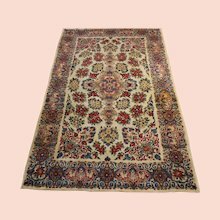 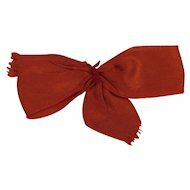 If you are the pending buyer of this item, go to My Account to view, track and pay for this item. 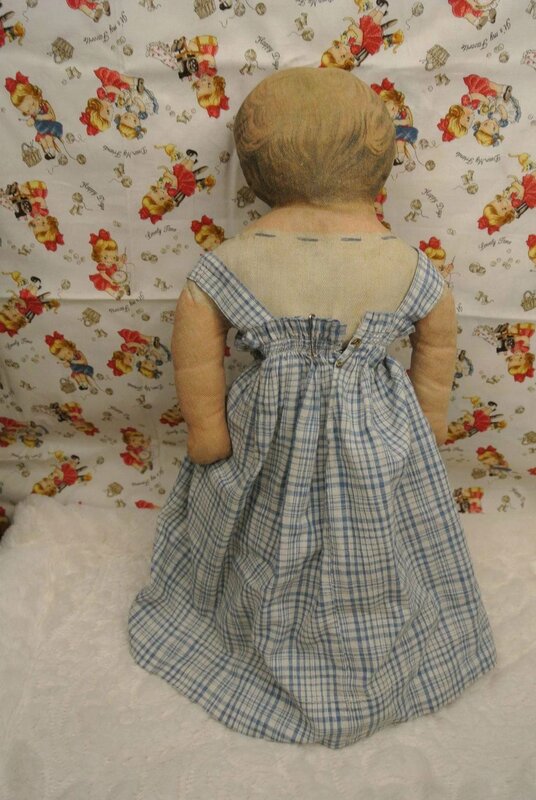 This item is Sale Pending so cannot be purchased at this time. 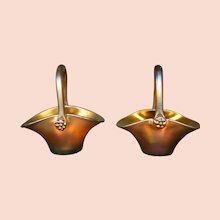 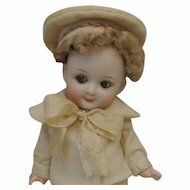 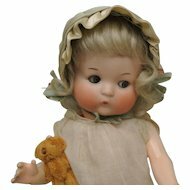 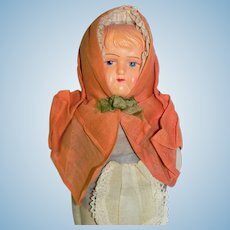 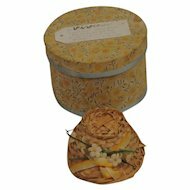 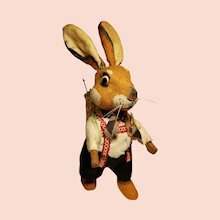 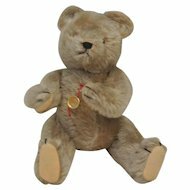 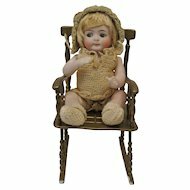 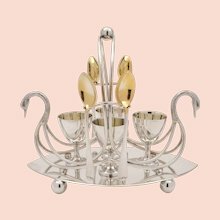 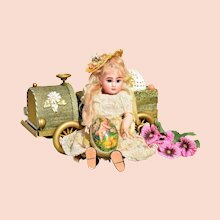 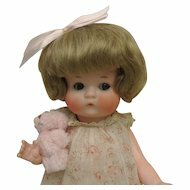 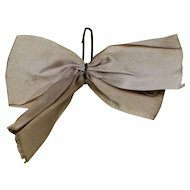 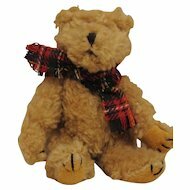 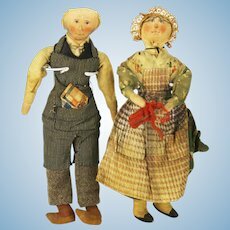 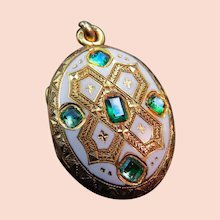 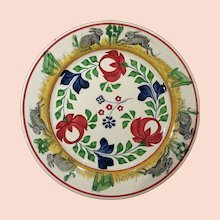 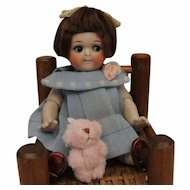 Affordable antique, vintage dolls and collectables. 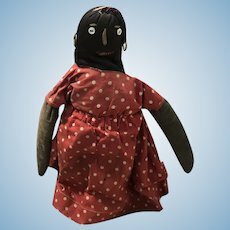 I guarantee all of the dolls that I sell.